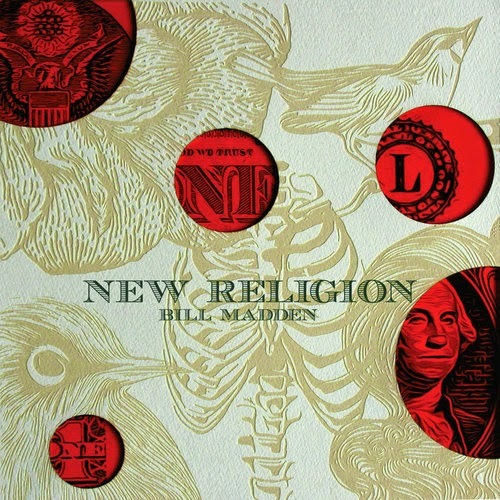 New Religion by Bill Madden: bold music and urgent message, perfectly timed for today. Review: I put on my earphones and listened to Bill Madden’s latest album, New Religion, several times —maybe five or six, I lost count. Some of the time, I was still—eyes closed, mind quiet, just listening as his songs created an environment that was irresistible at a music level. Other times my mind was anything but quiet—it was thinking, dissecting, unearthing meaning. And a few times, I was moving—hiking with my dog, just enjoying the blend of the Madden’s world with my view of the Pacific Ocean from a trail along the coast. Regardless of my mental or physical state, Bill Madden altered it and in a very good way. Madden stands at the intersection of politics and music, like a Tom Morello or Ani DeFranco or the up and coming Eleanor Goldfield. His songs are explicit descriptions or beautiful metaphors of the hypocrisy and torment in the world, told through stories of people with no voice, or people with strong voices who struggle for change. These stories are born aloft in New Religion by nontraditional instrumentation and unencumbered but subtly complex arrangements that create a landscape that his lyrics trek through. The effect can be ethereal, hypnotic, and seductive. It departs from, and moves beyond, the folk rock of Samsara’s Grip or the alt rock of Gone into a new world, while it retains the poetry and social commentary that are his brand and his internal engine. A spiritualist and activist who co-manages a progressive news and information blog, he uses music as one of several tools to impact the world. His influences range from Buddhism, Dylan, and the Beatles to Violeta Parra, Silvio Rodríguez, Pablo Neruda and Jiddu Krishnamurti. New Religion reflects all of these and more. With these influences, he has created a work that is listenable, accessible and relevant. New Religion opens with “What is Ours”, soothing us with a childlike “La, la, la, la, la…” over a soft rhythm evocative of an Indian drum, backgrounded by a resonate string line—like a sitar but not quite—and soft, temple-bell keyboard notes. It makes you sway while you absorb the lines A righteous uprising / For justice, not power / Brings us together / To claim what is ours” The combination of the instrumentation and the message gives it a feeling of inevitability: there is no doubt that we are strong and patient and right and that we will claim the justice that is ours. He shifts both musical and lyrical viewpoints in “Francesca” a haunting, painful earworm about a woman lost to suicide three decades past. A muted kick drum, syncopated with tabla-like counter beats carry a distant organ line to create a stage for the story. The music swirls around the lines A naked limb / An arm, a leg / A breast, and yet her / Face not in the frame. We are forced to look at her with our mind’s eye, like drivers crawling past a freeway accident. And what we see is a not-there woman who tells us her life is like Old coffee-cup sediment … All she left / Are negatives / And silver gelatin. “What will we leave?” is Madden’s unspoken question. “O Ye Of Little Faith” changes viewpoints again with a steady, subdued but rising beat accented with ethereal sound effects while Madden uses a higher pitched voice to confront us for giving up too early. Nothing’s ever / Very easy … Futile kiddie panicky / Emotion gets you nowhere he admonishes. As an activist, he knows of what he speaks when he says So when criticized a little bit / You quit right in the middle … You try so hard / To add the facts, but / In your chemical depression / You can only subtract. In the watering holes of the nation’s capital this is especially relevant and probably ignored. The title song, “New Religion” springs from the past 35 years since the so-called Reagan Revolution moved the country toward a corporatist plutocracy of haves and have-nots. The debunked, but still alive, "trickle-down” economics used to justify the massive theft of homes and jobs by Wall Street lurks in the background. Madden describes the bloodless corporate minions who take the homes and lives of ordinary defenseless people. He said, it’s just a job / Nothing personal … Money, more money, more money, more / God is greed, meet the new religion.Carried by an ominous kick drum, guitar strum and distant triangle notes, Madden tells the story with increasing anger in his voice as the music rises. Judgment is coming: Sooner than late, when / The masses discover the lies / For who is at fault, there will be / No quarter, nowhere to hide. As New religion…new religion…new religion…. fades into echo, we hit repeat to hear the message and feel the sound again. New Religion expands to cover more ground in the environmental warning of “Mother”, the uplifting but cautionary “Easy”, and the starkly painful “I See Them”, which, like Gina Chavez’s classic “Like An Animal” will never let us walk by a homeless family on the street again without offering at least a smile of recognition if not the price of a meal: I see them / Curled up in fetal positions … Don’t be afraid / To look into their eyes / They’re not invisible / We are all our brother’s keeper. As we listen, we know that we are. The album moves to its conclusion with a positive, upbeat call for conviction, “Belief In Something” tells us we need a principled reason to look the homeless in the eye, to not quit in the middle, to tend earth’s garden. Framed with simple subdued percussion, piano and a keyboard line that all come together to create an ambient musical landscape, the music delivers the lyrical message perfectly. But Madden doesn’t leave in peace—the album ends with an ethereal warning as the final song, “Deluge”, takes us through Hurricane Sandy and its aftermath, both in the music and in its accompanying Kasia Haldas video. The ominous percussion, the subtle skyward sounds and Madden’s piercing voice emphasized in the chorus with echo all pull us into the maelstrom. We feel it coming as he sings Waiting / As Sandy teases / Taunts of rain drops / Swirl in the wind, and we see its aftermath in the lines, It’s over / Changed forever / Lives and memories / Swept away. The message is unspoken but clear—this is our fate unless we believe in something and act on it. 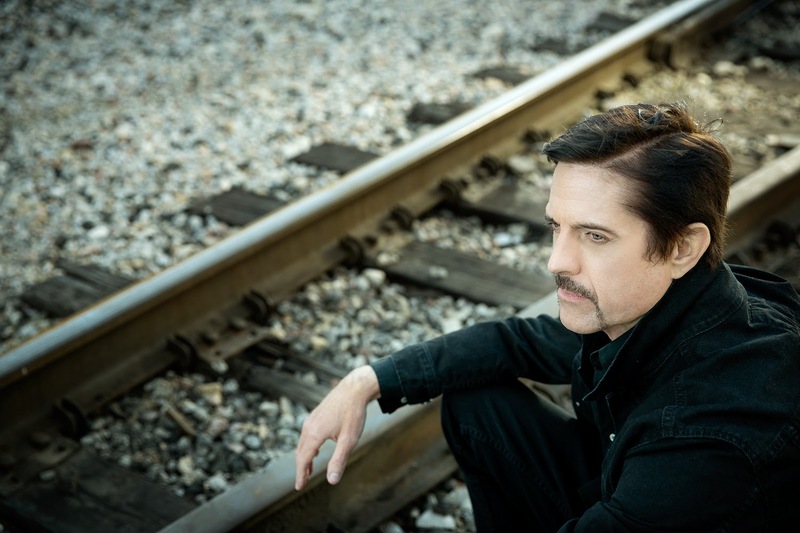 New Religion is a departure for Bill Madden, and a good one as he has evolved and taken a risk.The risk paid off—he has produced a stunning combination of bold music and urgent message, perfectly timed for today.